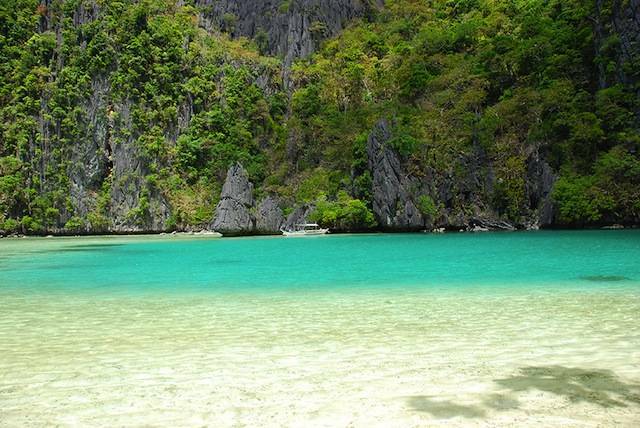 This is the final part of the series of El Nido Islands and Beaches Tours where we save the best beaches for last. Nacpan and Calitang Beach is the best among the beaches in El Nido. 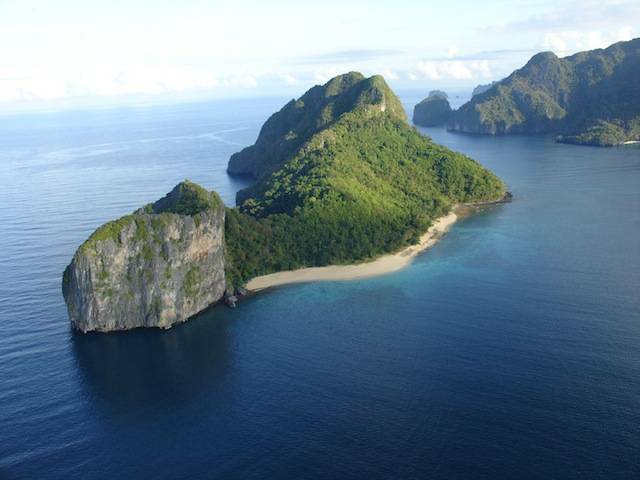 The Nacpan and Calitang beach is located 25 kilometers north of EL Nido town, situated in the mainland of Bacuit Bay. 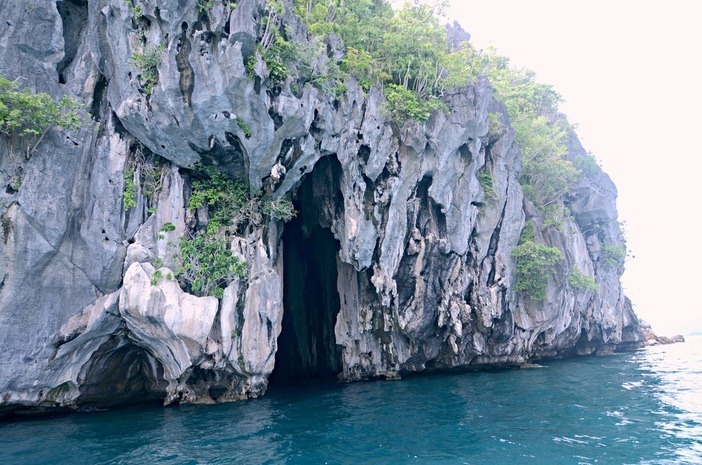 A trek to El Nido’s Makinit Hotsprings and Nagkalit-Kalit Falls is also included in this tour. Nacpan and Calitang Beaches, unlike the other beaches and Islands in El Nido, are not visited by tourists quite as much, allowing you to bask in your own piece of paradise. Calitang and Nacpan beach share the same shoreline and these beaches are not yet commercialized; a fishing village and a large resthouse are the only structures to be found in these pristine beaches. The Nagkalit-kalit Falls is one of the other attractions in El Nido Tour E. This spot is also a frequent destination for adventure trekkers because one needs to hike for thirty to forty-five minutes to reach the falls. 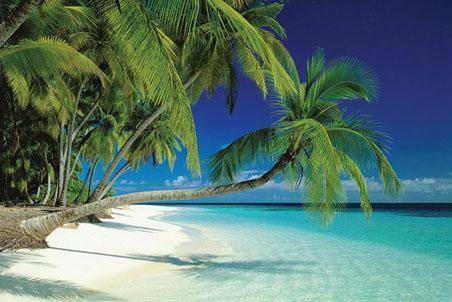 Nacpan Beach and Calitang Beach – is “where you go when you want to get away from it all”. These beaches are just a little harder to get to, but if what you’re looking for is total seclusion, you’ll find it on the beaches north of El Nido town. Located an hour away from El Nido Town, these northernmost beaches are completely undeveloped and it boasts some of the most scenic–and isolated–beaches in Palawan. Nagkalit-Kalit Falls – Located deep in the forest an hour away from El Nido by jeep and on foot through the lush jungle, are magical waterfalls and jungle pools amidst cascading falls. It’s an amazing experience to trek in the jungle – a true “back to nature” feeling. This spot is not only preferred by nature enthusiasts but also by adventure trekkers and mountaineers. Visitors need to hike for around thirty to forty-five minutes for reaching the falls. The enjoyable trek to the Nagkalit-Kalit Falls in El Nido, Palawan will begin at the local villages of the municipality. Trekkers will then pass through some rice fields and jungle trails. The trek to reach this beautiful waterfall will also involve some river crossings so one must prepare to get your shoes and feet wet. Important Note: Treks to Nagkalit-Kalit Falls ares scheduled between the months of June and December as the lack of rain in the summer and the effects of changing climate have been known to dry up the river that supplies water to the waterfall. 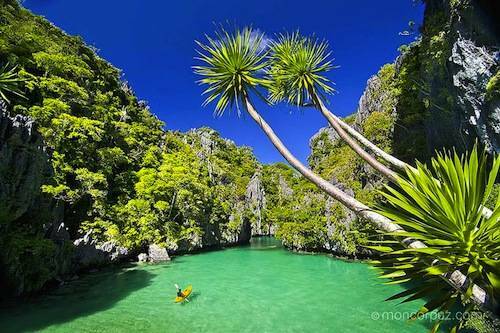 El Nido Eco-Tourism Development Fund : The Eco-Tourism Development Fee (ETDF) was establish in 2008 to fund the expenses of environmental maintenance and protection. The ETDF is also used to develop environmental protection projects which aim to limit the impact of tourism on the environment. The fee of P200 per person is assessed on all tourist upon arrival.